Allows a Lefty hub to be mounted in a traditional truing stand. Available in 6 color options. 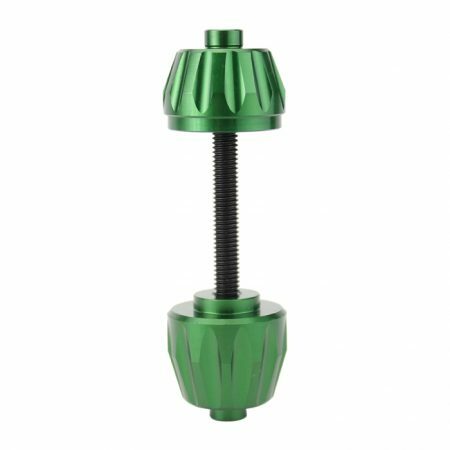 One often overlooked fact about the Lefty hub is that there is no way to mount it in a traditional truing stand. This leaves you with a wheel that can’t be trued or dished with any real accuracy. That’s where our custom manufactured Lefty Truing Spacer comes into play! This handy tool allows you to build or true a Lefty wheel on a standard truing stand and allows you to dish it using a standard dishing tool. 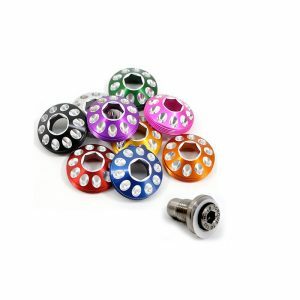 They are all precision machined and anodized in 6 color options. Simply slide the longer end of the spacer in the hub and thread the other side on; no tools required. Works with both 1.0 Lefty hubs and 2.0 / Supermax Lefty hubs. Rigid Quality Control. This is something we take VERY seriously. You will not receive a part with a scratch or ding. We believe it is your job to try and tear this baby up, not ours. 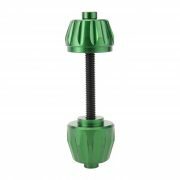 We also maintain tight controls on anodizing to provide consistent colors and use an extra long seal to preserve color. Unfortunately, fading is part of the nature of the anodizing process, but the extra long seal helps maintain the original brilliance as long as possible. Outstanding Customer Service. We pride ourselves on our knowledge and our availability. A real person still answers the phone and we have team of knowledgeable sales and technical advisers available to help you over the phone or via email. Our response times are normally very fast, often same day and our shipping team works hard to get your product as quickly as possible (often same day). Allows a Lefty hub to be mounted into a traditional truing stand. 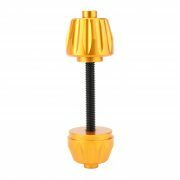 Compatible with 1.0 Lefty and 2.0 / Supermax hubs. No tools needed for installation. 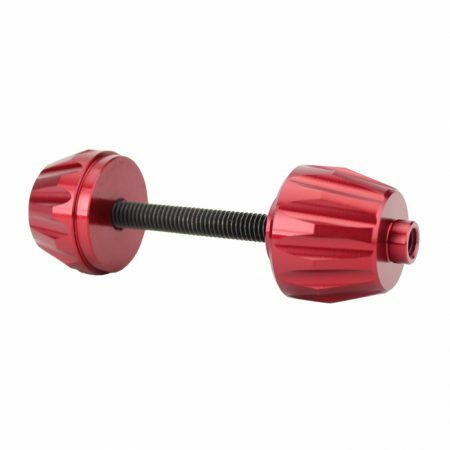 Available in 6 color options with long lasting anodization. 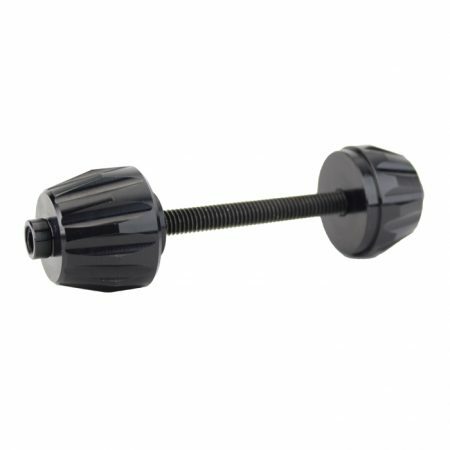 How do I install the truing spacer onto my hub? 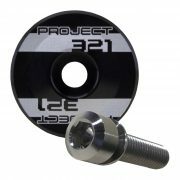 Does this truing spacer work with other lefty hubs? 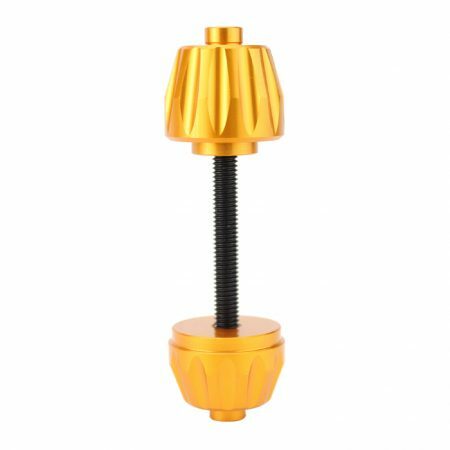 Does this truing spacer work with both the 1.0 Lefty hub and the 2.0/Supermax Lefty hub? just not Lefty Fat Hubs. How is this product shipped? We offer FREE SHIPPING (within the USA) on this product via USPS unless otherwise requested or shipped with other items. (changes may be subject to price increase). Can I ship to a different address from my billing address? Unfortunately, No. 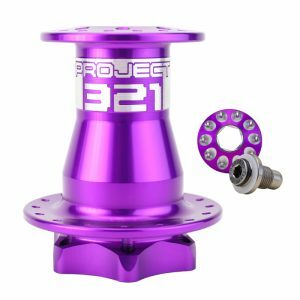 For security reasons Project 321 will only ship to the billing address or address associated with the PayPal account used to purchase the item. PayPal does allow the addition of multiple addresses on an account. Available in all 10 colors to match our hubs perfectly. Finished off with beautiful machining. 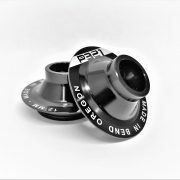 Compatible with many other manufacturers’ Lefty hubs (See list in FAQ). 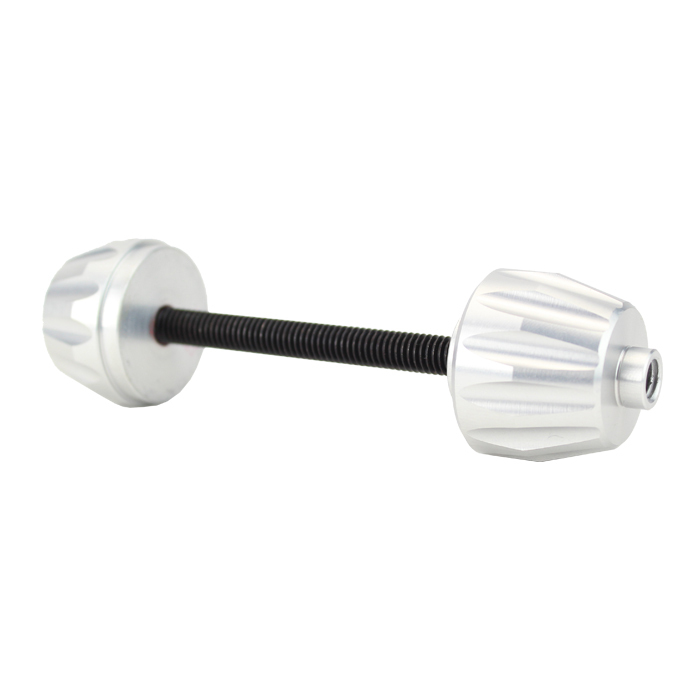 Ti Bolt is exceptionally strong and light and even has torque spec lasered onto it. 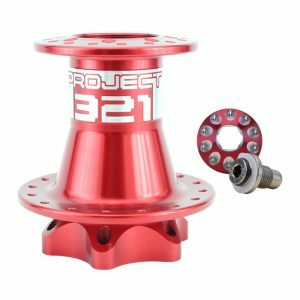 First American manufacturer with a 2.0/Supermax compatible hub! Flange spacing that makes the bracing angle better on the disc side. Sleek design, CNC engraved logo, pre-polished for extra shine! Brilliant colors, long lasting anodization. First to manufacture an aftermarket Lefty hub!